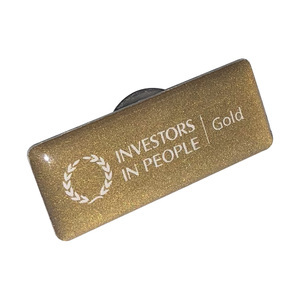 Investors in People Gold, Cut to shape die stamped metal badge. Border and all detail to be raised metal. Background recessed and soft enamel filled. Contemporary Twist Action Ball Pen. Soft Touch Rubber Finish with Bright Gold Gilt Trim. Mirror Gold Engraving to Barrel. Mini Bluetooth speaker with great looks. Ideal for travel, this s tylish speaker is the perfect way to keep your brand in front of your customers. Supplied with storage pouch, line in port for non BT devices and a rechargeable battery which delivers up to 4 + hours play time. 3W output delivers good sound and warm bass. Ultra slim power bank for all your gadgets. Features large branding area for mirror effect, 4 col process, solid cols and subtle engraving. 4000 mAh battery, 1.5A output and LED digit al display to show battery power remaining in the unit. Optional iPhone cable available on request. Covered in Hardwearing Synthetic Material. Hard Cover Book with 240 Pages of Lined, Plain or Squared Paper & Ribbon Bookmark. Thread Bound, Acid Free Paper with Expandable Inner Pocket & Elastic Closure. FSC Certified. A4 zipped folder in PU including internal pockets and lined pad.